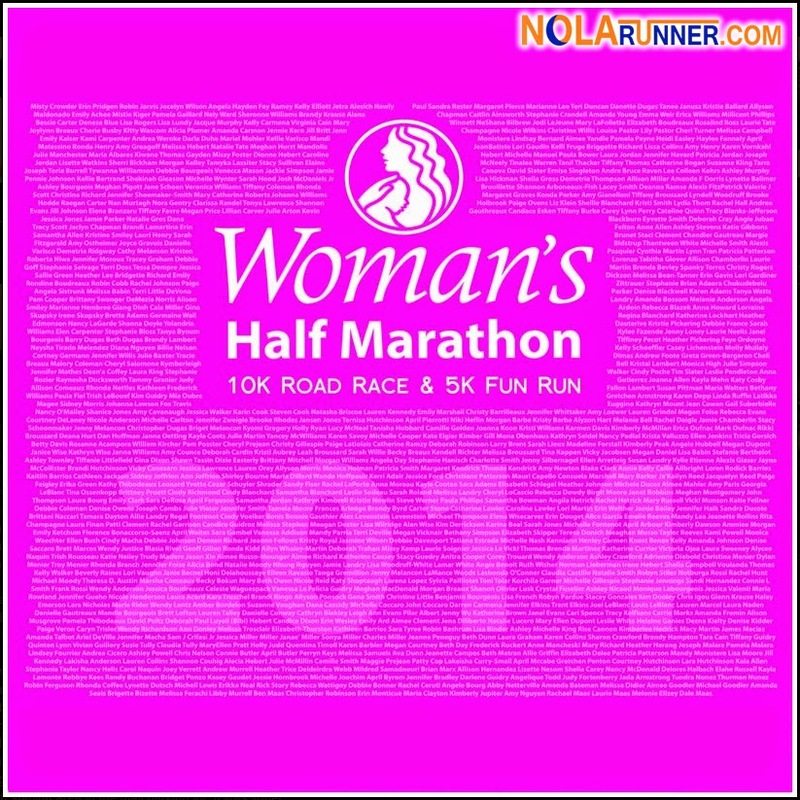 Sunday morning, the lakes in Baton Rouge will turn pink when the Woman's Half Marathon, 10K, and 5K take to the streets. In it's third year, this growing race benefits Woman's Hospital and their efforts to improve the health of women and infants in our community. And while this event is all about the ladies, men are more than welcome to run and support the cause! The festivities start on Friday, November 14th for the RunPink “Happier Hour” & Wellness Boutique from 3:00 -7:00 p.m. at the Lyceum Ballroom (124 Third Street, Baton Rouge, LA 70801). Vendors will be on hand with race merchandise, upcoming races will offer great deals, and more. The Wellness Boutique continues on Saturday, November 15th from 10:00 a.m.- 5:00 p.m. at the Lyceum Ballroom. 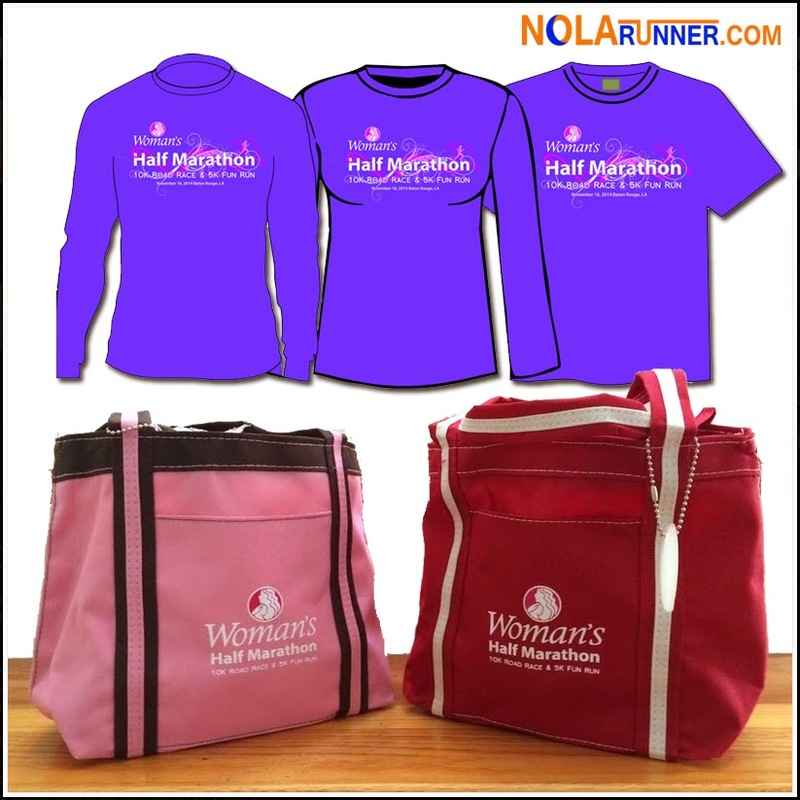 At the expo, participants will be able to pick up their race number, female cut or unisex shirts, and other premium goodies that come with your registration. One of those goodies is a really nice bag embroidered with the race logo. 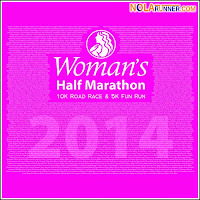 This year, runners have the option to choose the color palate they want to claim, while supplies last. Arrive early to have the best selection! Plus, those of you who waited 'til the last minute to register will have the opportunity to do so at the expo. Get more details on the expo and registration HERE. On race day, the race will still start and finish on River Road adjacent to the Old Governors Mansion & the River Center. The 13.1 mile course begins in downtown Baton Rouge and heads south for the first 2 1/2 miles until it reaches Skip Bertman Dr where it turns left. Participants in the half marathon will continue across Nicholson Dr onto Stadium Dr. while participants who are in the 10K will run north on Nicholson Dr. The half marathon will then turn left onto W. Lakeshore Dr. and enjoy the view of University Lake until approaching Dalrymple and turn north for a tour of the neighborhood. Once the runners return downtown, it will be a quick loop around the State Capitol and Arsenal Park before a grand finish right back where they started on S. River Road. It's a beautiful, flat course that highlights great areas of the 225. An email that was just sent by race organizers affirms our fears, and it appears that weather will be questionable on Sunday morning. With the possibility of rain comes the decision to move the post-race party indoors to the Lyceum Ballroom. Inside, runners will be entertained by DJ Russell and will be warmed with soup from Street Breads, chips & salsa from Lucy's Retired Surfer Bar, Jimmy John's Sandwiches, beer & root beer from Abita and lots of other great snacks. Organizers are providing Bag Check for anyone who wants to check warm dry clothes after the race. Have questions about Sunday's race? Check out the official website HERE, or get a quick overview on their FAQ page HERE. Also, updates will be posted to the Woman's Half Marathon & 10K Facebook page throughout the weekend HERE.